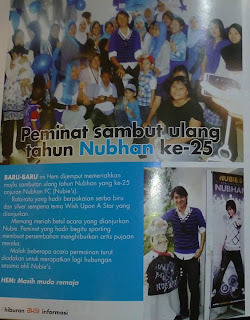 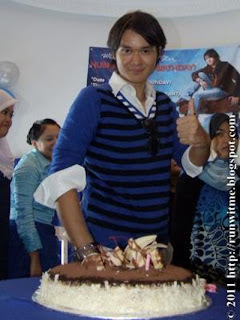 FYI, Nubhan's actual birth date is 2 April 1986.
and my hubby was ready to babysit the little ones.. There were fun activities lined up for about 50 Nubies who turned up for the bash. 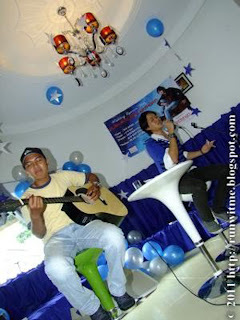 the theme of Nubhan's Wishing Upon A Star 25th Bithday celebration. 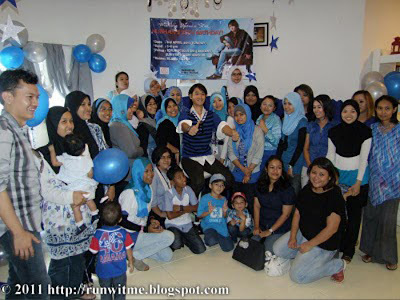 sitting with Nubhan's sis & babies..
Nubhan is entertainning the Nubies..